As we head into summer, things are getting busier and busier each weekend. This morning I dragged three very tired kiddos out of bed for school. I know they had a great time this weekend, but I feel badly that they don't get some time to catch up before school. At any rate, I thought I'd share some pics of the fun. 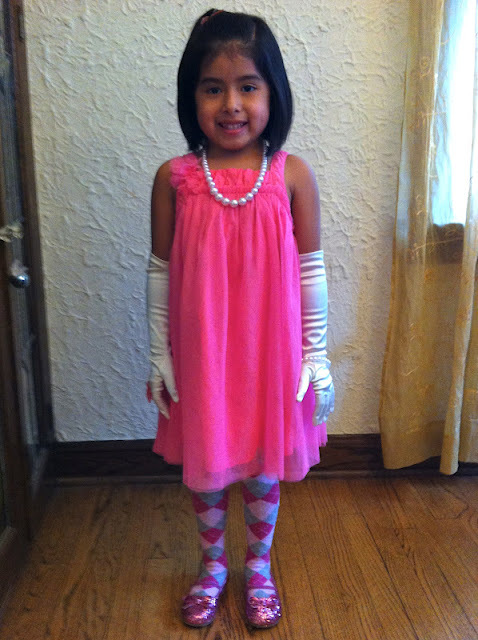 EJ had a birthday tea party to attend, so she got all blinged out for the fun. Matt & I got our annual fishing license (I go once, he goes a lot) which I generally despise doing, but I did find this mini lanterns which was awesome. I had been looking for them for the kids but everything I found was too expensive. These were 5 bucks. Matt took the big kids to a indoor football game Saturday night and it was free jersey night too. After the game they were able to get signatures. Jack stood in line for players and got 3. EJ went to all the cheerleaders and filled her jersey! Liv & I had a quiet (or lame, depends how you look at it) night at home. She really wanted to play Feed the Kitty but said we needed three players. 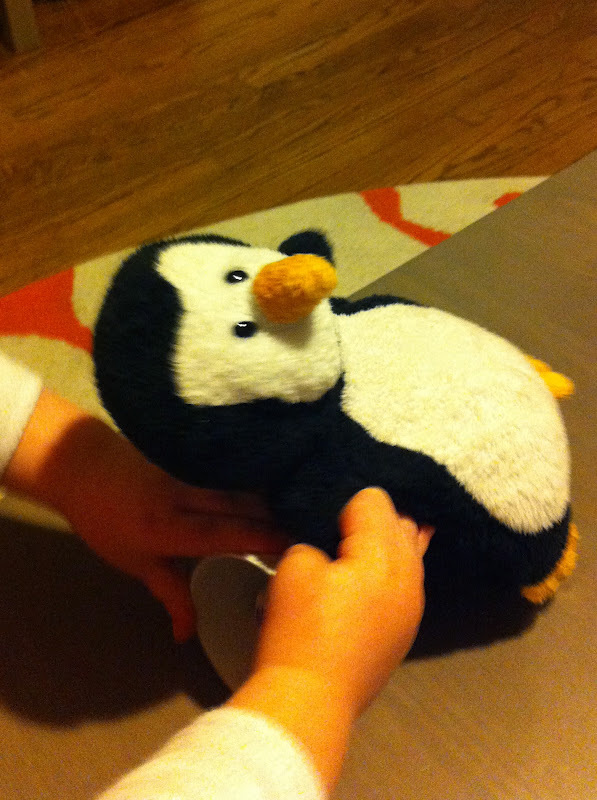 Yes, I got stuck playing a game with a stuffed penguin. She even helped him roll the dice. Something about this got me...the grown-up way she was holding her chubby little foot. Three suddenly seems way too old! After I put Livie to bed, I picked up a super old crochet project and hit the dvr stash (more on this mess later in the week). I didn't get any photos from soccer because on Saturday it was raining and Sunday I missed the game (although I hear it was a great one). I spent the day at a fun baby shower for my friend Julie whose little boy will arrive this Summer (I can't wait)! This cake was super yummy as well as cute. definitely tired out the kids this weekend. Unfortunately weekends don't get any less hectic this time of year. also, don't worry about license process next year - i'll go back to buying online. that's how much i love you.